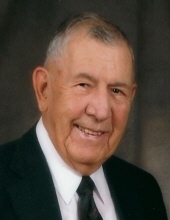 Our beloved husband and father Don Carlton Fisher, 90, passed away on Tuesday, November 13, 2018 in Stillwater, Oklahoma. Don was born on August 26, 1928 in Whittenburg, Texas to Carl and Clara (Smith) Fisher. He graduated from high school in Borger, Texas. He was active in Boy Scouts achieving the level of Eagle Scout in his youth, and later the honorary Silver Beaver award as an exceptional adult leader. He attended Texas A&M and graduated from Eastern New Mexico University with a B.S. in Mathematics. He met and married the love of his life Joyce Price at ENMU. They enjoyed 65 beautiful years together. He served our country in Okinawa as a radar specialist from 1953-55. Upon returning to the U.S., he began working as an engineer with Phillips Petroleum. He relocated his family to Stillwater in 1968, becoming General Manager at the Swan Hose manufacturing plant. He later transferred to Galion, Ohio where he worked in research and development. In 1982 he and Joyce returned to Stillwater and he became a Senior New York Life agent with the Houck Agency, receiving numerous recognitions. He was a charter member and past president of Frontier Rotary. He retired in 2004 and remained active as a world traveler and avid golfer, playing on 5 continents. Don was also an excellent softball player and in 2010 he was inducted into the Oklahoma Senior Softball Hall of Fame after having played in multiple Senior Softball World Series for All-Star teams from Oklahoma, Colorado and Hawaii. Don earned his private pilot’s license and flew regularly for 40 years. Don gave lifelong service to his family, country and communities. Don is preceded in death by his parents Carl and Clara Fisher and his brother Dale. He is survived by his wife Joyce (Price) Fisher; his children Don Fisher Jr. and wife Nancy, Dana Fisher, and Diane (Fisher) Frank and husband Jon; and his grandchildren Connor Mullins, Molly Fisher, Claire Mullins, Skylar Frank, and Lydia Frank. He was deeply loved and will be profoundly missed. Graveside service will be held on Saturday, December 8, 2018 at 2:00 p.m. at Duren Cemetery in Mullin, Texas. Dighton Marler Funeral Home of Stillwater is arranging the service. A Celebration of Don’s Life memorial service will be held on Saturday, February 2 at 12 noon at the Stillwater Country Club. Memorial contributions can be made to the Rotarian fund: “Communities Foundation of Oklahoma” in Don’s name in care of Dighton Marler Funeral Home, 5106 N. Washington St., Stillwater, Oklahoma 74075. To send flowers or a remembrance gift to the family of Don Carlton Fisher, please visit our Tribute Store. "Email Address" would like to share the life celebration of Don Carlton Fisher. Click on the "link" to go to share a favorite memory or leave a condolence message for the family.